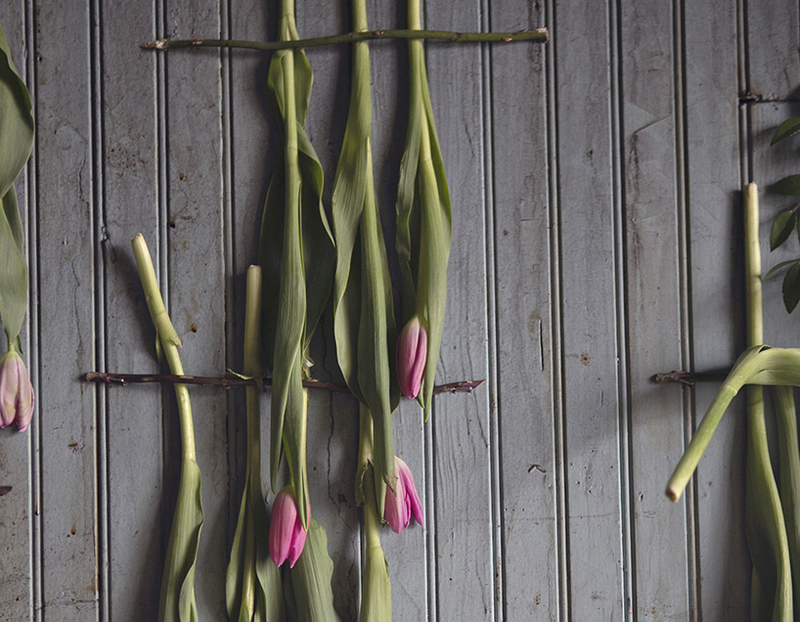 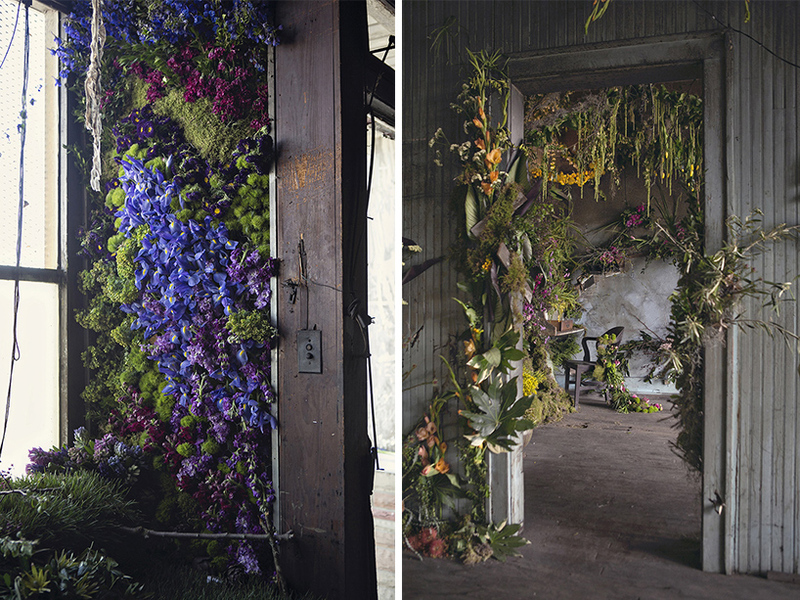 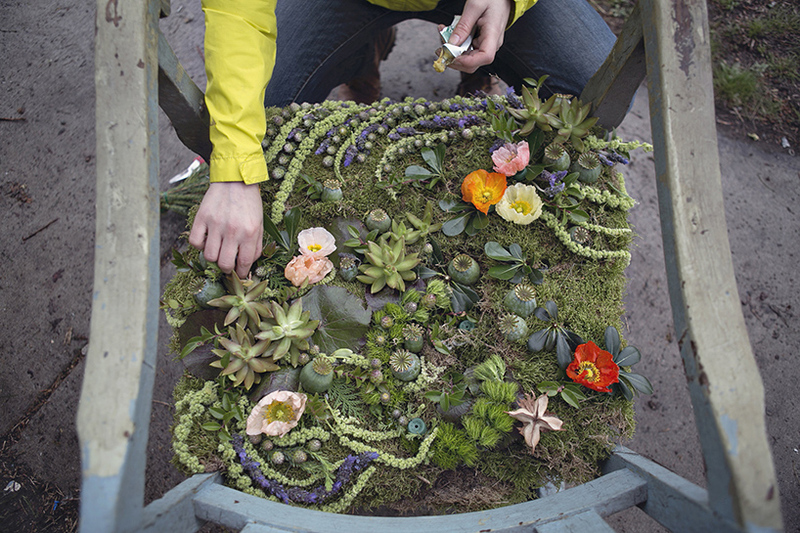 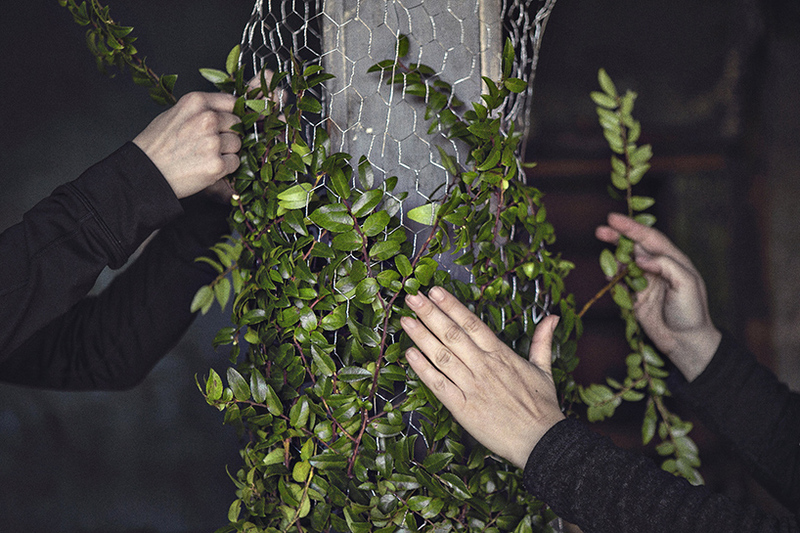 in october 2015, florists from across the united states will come together in detroit, working together on an unique and immersive installation for the city. 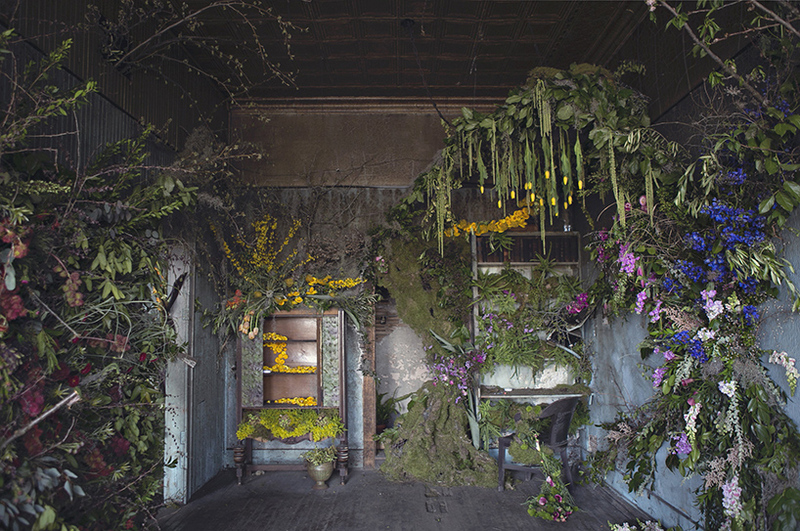 conceived by lisa waud, the ‘flower house‘ project will see these botanical experts fill the interior walls and ceilings of a 16-room abandoned urban house with american-grown fresh flowers and living plants, giving new life to a forgotten structure in the city. 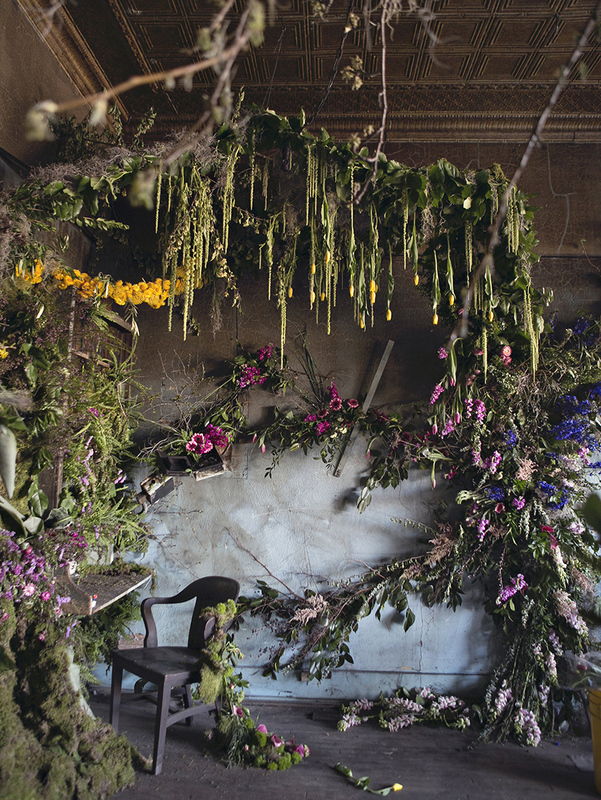 during first weekend of may 2015, the ‘flower house’ team hosted a preview event in a neighboring vacant house. 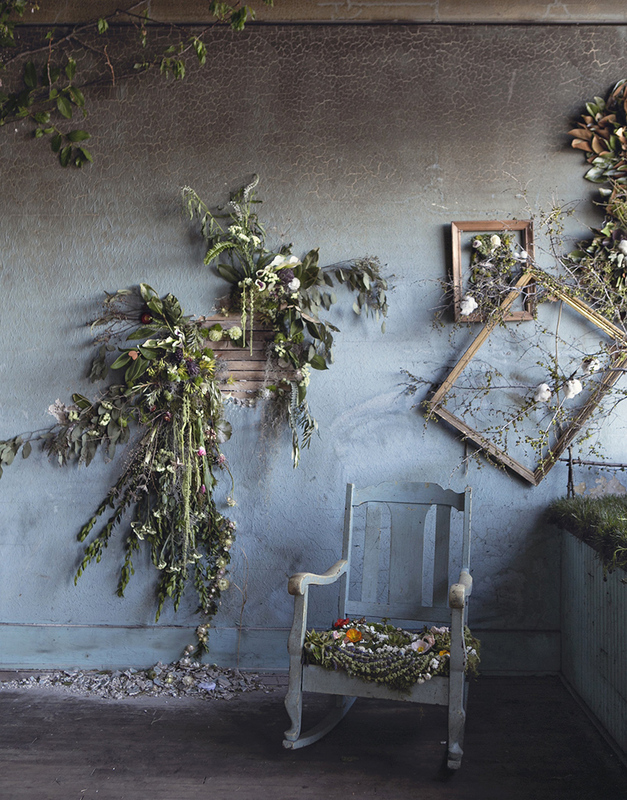 inside the worn and neglected structure, visitors came upon a stunning display of greenery and blossoms interspersed and installed in nearly every crevice and cranny of the former residence. 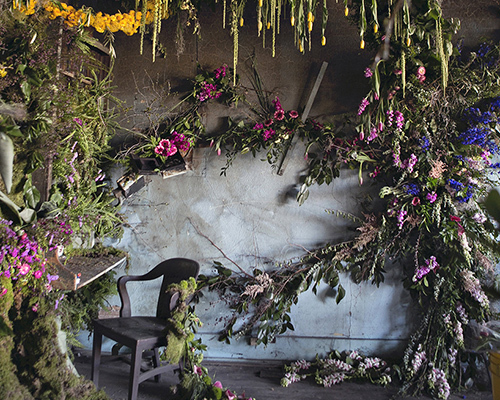 a chair upholstered with a ‘cushion’ of succulents and petals, a wall of tulips pinned to the interior by flower stems, and a ceiling dripping with vines turns the disarray and decay into a mesmerizing and sensory experience. 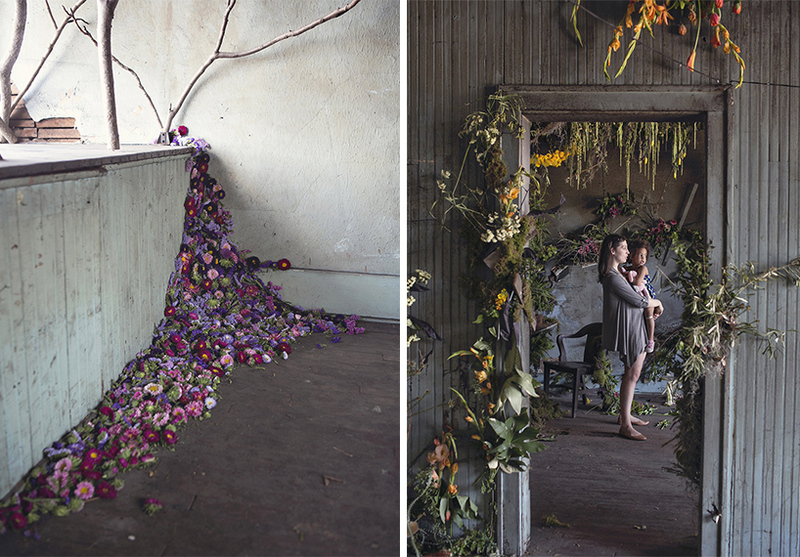 upon the completion of the october 2015 installation — currently seeking funding on indiegogo — the structures on the ‘flower house’ property will be responsibly deconstructed and their materials re-purposed. 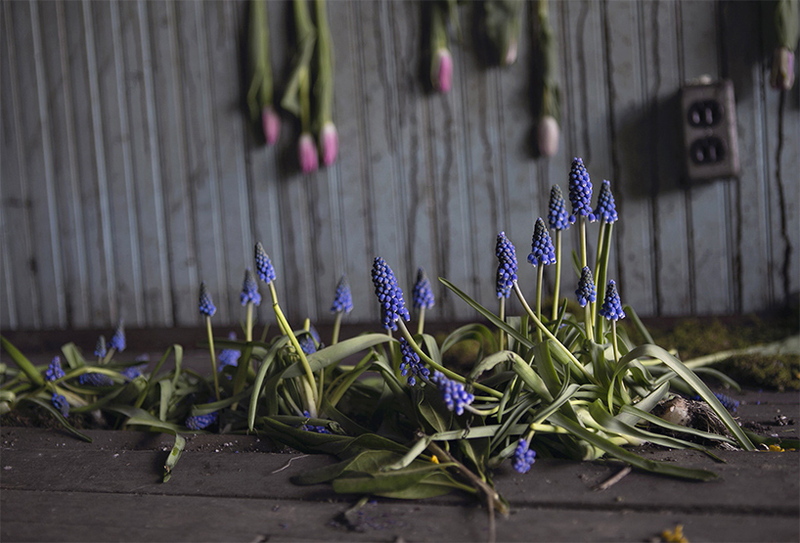 the land on the formerly neglected properties will be converted into a flower farm and design center for waud’s floral design business, pot & box. 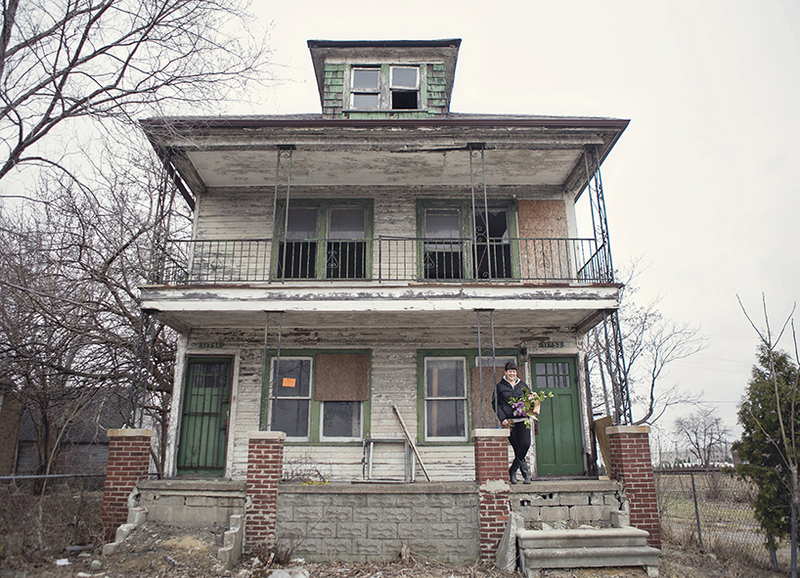 the long-term program will see an ordinary street in detroit transform into a creative and collaborative place for the community. 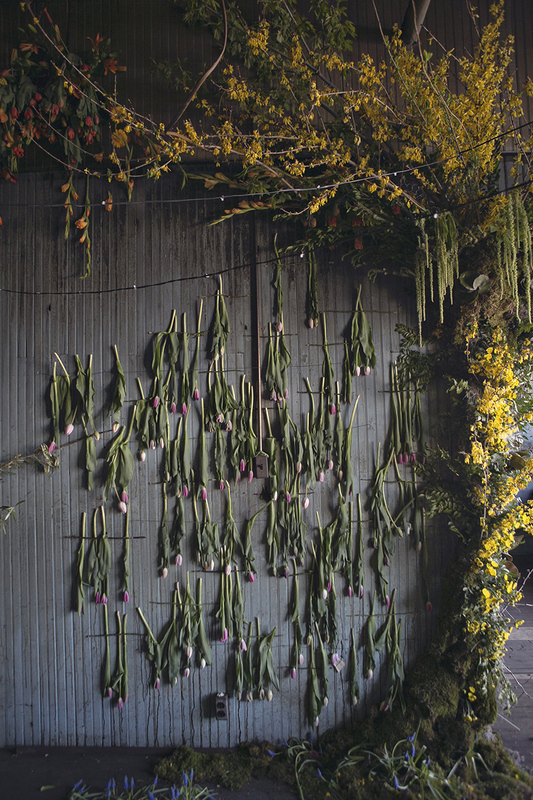 ‘the neighborhood surrounding the site is a functional and friendly one’, waud desribes. 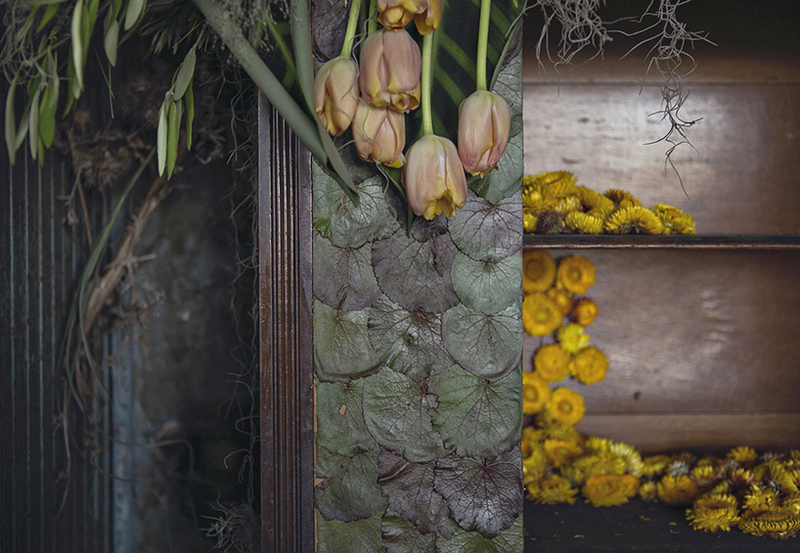 ‘everyone who walks by stops to ask what we’re doing, to hear about the flower house project and long-term plans to bring the structures down and make way for a flower farm, and to share what they remember about the houses’ past occupants.